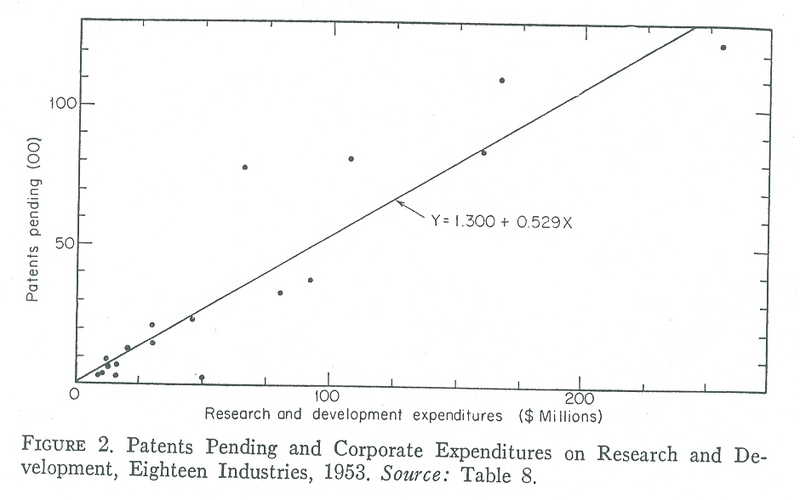 In one of my earlier posts, Patent Quality Non-Sense , I pointed out that the R&D (Research and Development) per patent ratio, GDP per patent ratio, and number of citations per patent have all increased over the last fifty years. These were all statistically significant changes. 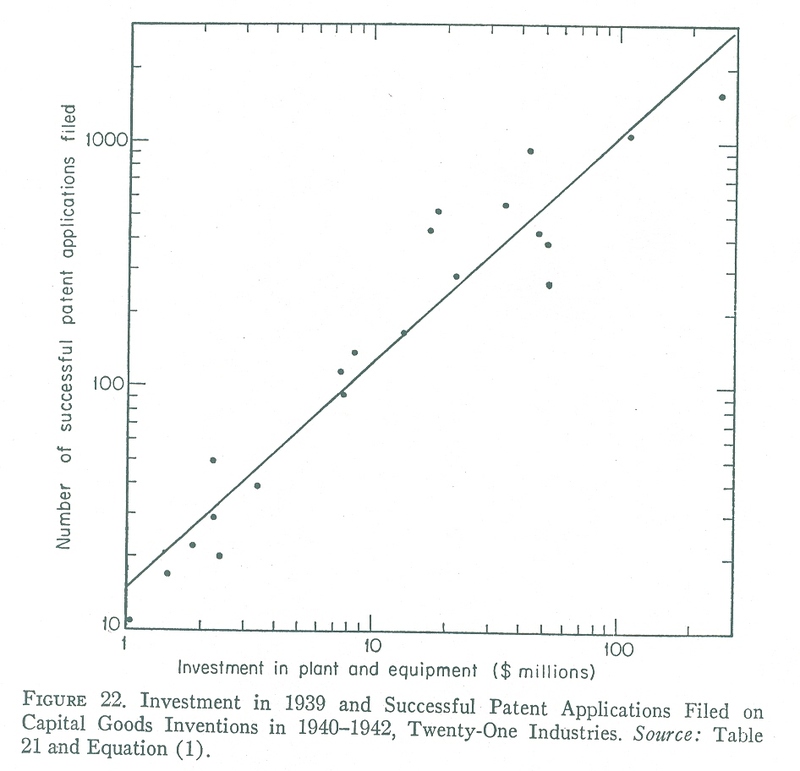 Based on this evidence I concluded that the quality of patents (or threshold for obtaining a patent) has increased over the last fifty years. I was fortunate enough to have an academic economist send me a message pointing out that there were several papers by academic economists that have been debating why the R&D per patent and GDP per patent ratio have been increasing. One of these papers suggested the reason for this phenomena was that as technologies are explored they become mined out – the cost of obtaining a new invention keep increasing. 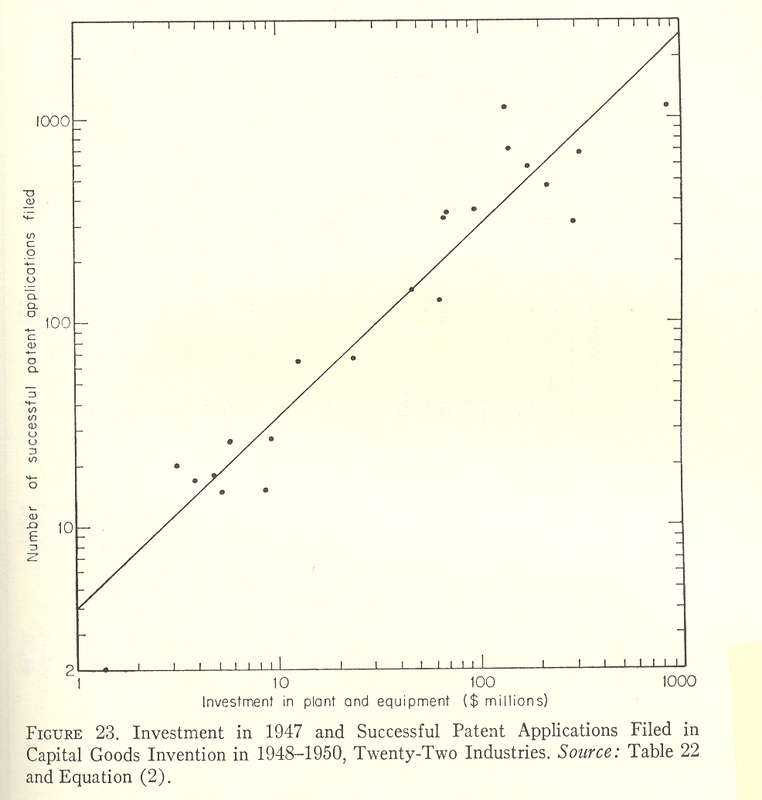 Of course this issue had been explored in the 1950s by the famous economist, Jacob Schmookler, in his book “Inventions and Economic Growth.” Professor Schmookler showed that across multiple industries the amount of R&D per patent was essentially the same. See figure 2, page 46, figure 22, page 138, figure 23, page 139. Foreigners Receive More Patents than U.S.! This post is the Introduction to my book, which should be available on Amazon.com in December of 2009. Scarcity – Does it Prove Intellectual Property is Unjustified?